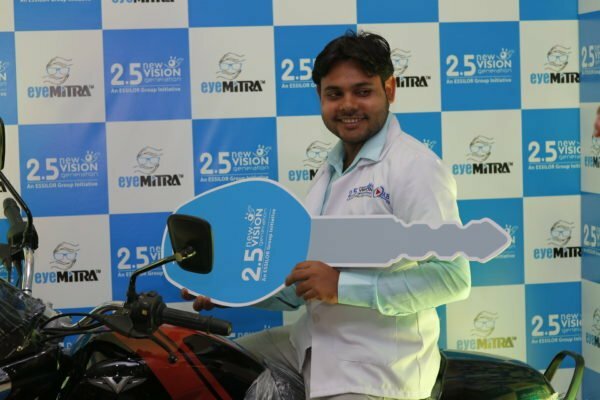 For the fourth consecutive year, Essilor’s 2.5 New Vision Generation held its annual Eye Mitra convention in India. This year close to 1,000 Eye Mitra from the North Indian states of Uttar Pradesh and Rajasthan came together to celebrate a program developing skills, creating jobs and uplifting lives. Experienced and successful Eye Mitra shared inspiring stories while others looked on with hope at what their future holds as vision micro-entrepreneurs in their local communities. 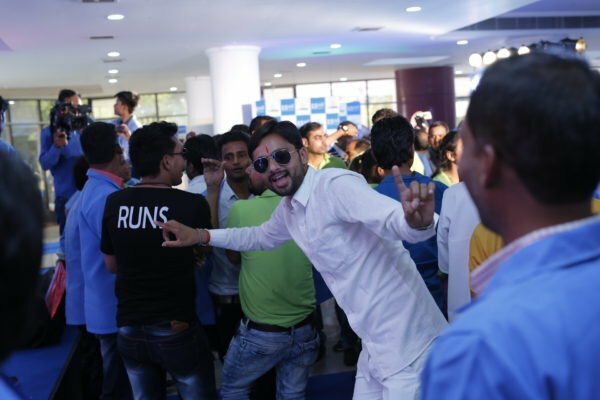 The energy with which close to 1,000 Eye Mitra in their blue coats cheered and clapped to kick-off this year’s annual convention in Lucknow was a taste of what would come throughout the one-day convention. 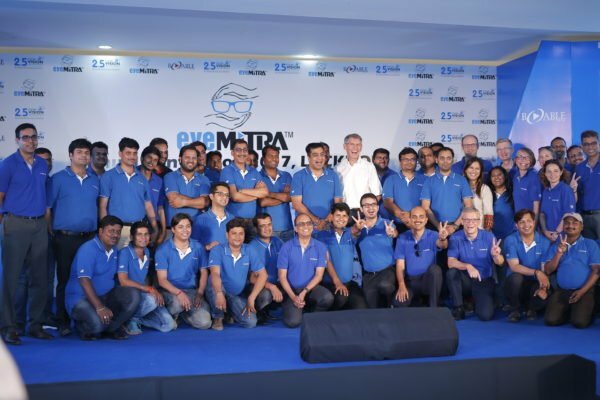 With more than double last year’s attendees, it was not only inspiring to see so many Eye Mitra celebrating this moment, it also underlined the impressive scale-up of the program over the last year. The number of young people trained to become Eye Mitra – primary vision care providers running their own micro-enterprise – more than doubled in just one year. This time last year about 1,200 Eye Mitra were working in India. At the end of April 2017, 2,600 were active across 14 different provinces. Together they have screened more than 4.8 million people to date and equipped close to 1 million people with affordable eyeglasses. Highlights at this year’s convention included an award ceremony to celebrate outstanding performers. One of them was Rijwan Arif who two years ago sold his motorbike to become a primary vision care provider and open his own small shop. His subsequent success has made him today one of the best performing Eye Mitra – screening and dispensing glasses in his community and transforming lives through vision correction. A new motorbike was an apt reward for his efforts and impact. I am an entrepreneur. I am a business man. Entrepreneurial spirit was a recurring theme echoed by many. 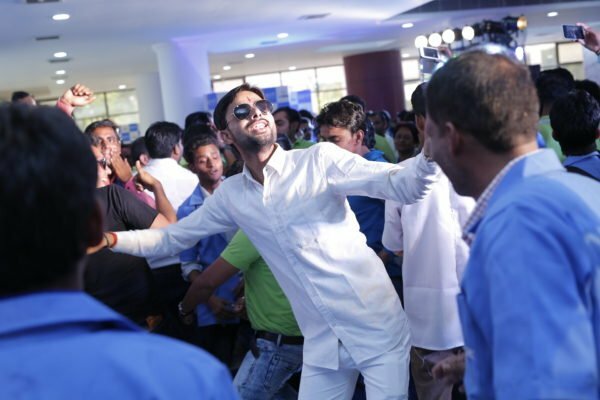 The proud statement “I am an entrepreneur, I am a business man” from one Eye Mitra was loudly applauded by the audience. Several participants shared their experiences onstage, including Eye Mitra Savita Srivastva who is one of hundreds of women empowered by the program to contribute socially and economically to their communities. One of the most interactive parts of the day was a Q&A session with Essilor Chairman and CEO, Hubert Sagnieres, and Essilor Chief Mission Officer, Jayanth Bhuvaraghan, where Eye Mitra explored upcoming opportunities and the future development of the program with Essilor and its partners. With only one qualified optometrist for every 25,000 people in rural areas, India suffers from a drastic shortage of eyecare professionals, especially in remote parts of the country. As a result, more than half a billion Indians suffer from poor vision, costing an estimated USD 37 billion in lost productivity. 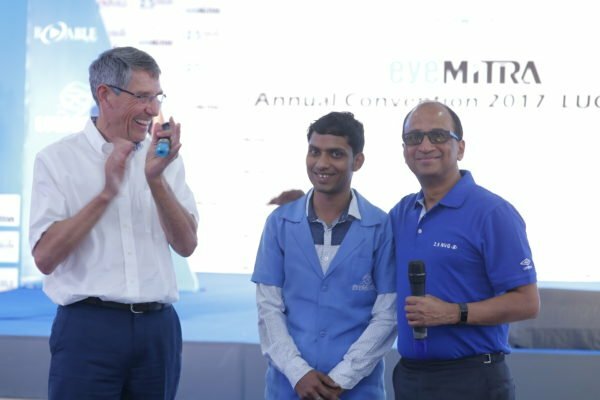 Essilor’s Eye Mitra program (meaning “friend of the eyes”) is bringing vision care to rural India and contributing to the social and economic development of villages by creating a livelihood for local young unemployed villagers. 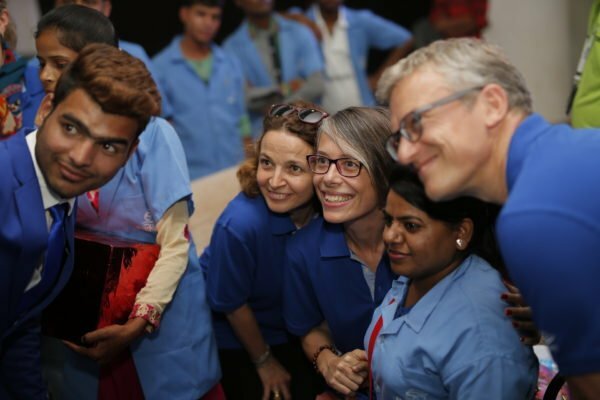 The initiative was launched in 2013 by Essilor’s inclusive business arm 2.5 New Vision Generation (2.5 NVG). Essilor and its partners aim to train a total of 10,000 young Indian men and women as primary vision care providers by 2020.